There’s really no simple answer to this question, because there are many dynamics like the type of pain, your background and personality and family and social environments that can determine what your treatment plan will be, says the Institute of Medicine’s Committee on Advancing Pain Research, Care and Education. After all, chronic pain is a tenacious problem that will not go away anytime soon and has implications beyond the source of the pain. Chronic pain becomes more common as we age, and that’s partly due to health problems like osteoarthritis that become more persistent with the advancing years. It’s no surprise that a national survey finds low-back pain and osteoarthritis to be the most frequent chronic pain conditions older Americans suffer. That’s not to say there are not other conditions that can cause pain as well, like rheumatoid arthritis, migraine, carpal tunnel syndrome and fibromyalgia. In addition, chronic pain can be caused by an underlying disease or health condition, an injury, a medical treatment like surgery, inflammation or a tricky nervous system (known as “neuropathic pain”).and sometimes, there’s no explanation at all. Pharmaceutical drugs may not be your only path to pain relief. Natural pain treatments like herbal medicine, in which parts of a plant are used medicinally to treat health problems is an increasingly popular way to manage pain as well.Though research on herbal remedies is still in its early phases, many herbs are thought to provide pain management and decrease inflammation. However, it’s important to exercise caution. Derived from hot chile peppers, topical capsaicin may be useful for some people in relieving pain. “Capsaicin works by depleting substance P, a compound that conveys the pain sensation from the peripheral to the central nervous system. It takes a couple of days for this to occur,” says David Kiefer, MD, assistant clinical professor of medicine at the Arizona Center for Integrative Medicine. Though more studies are needed, says Dr. Kiefer, ginger extract may help with joint and muscle pain because it contains phytochemicals, which help stop inflammation. Few side effects have been linked to ginger when taken in small doses. Feverfew has been used for centuries to treat headaches, stomachaches, and toothaches. Nowadays it’s also used for migraines and rheumatoid arthritis. More studies are required to confirm whether feverfew is actually effective, but the herb may be worth trying since it hasn’t been associated with serious side effects. Mild side effects include canker sores and irritation of the tongue and lips. Pregnant women should avoid this remedy. This spice has been used to relieve arthritis pain and heartburn, and to reduce inflammation. It’s unclear how turmeric works against pain or inflammation, but its activity may be due to a chemical called curcumin, which has anti-inflammatory properties. Turmeric is usually safe to use, but high doses or long-term use may cause indigestion. Also, people with gallbladder disease should avoid using turmeric. There is some scientific evidence that this South African herb may be effective in managing arthritis and lower back pain, but more research is needed. Side effects are very rare if taken at a therapeutic dose for the short term, but it’s not advised for pregnant women and those with gallstones or stomach or intestinal ulcers. Since herbal therapies for pain management have yet to be thoroughly studied, be careful when embarking on this treatment path. Regardless of the herb you try, remember that they’re not benign. Research into their safety and efficacy is still limited, and the government doesn’t regulate herbal products for quality. The best course is to talk to a health-care professional before testing out a herbal remedy. But let’s not fall into the trap of feeling depressed, hopeless or despondent. A recent study from the National Institutes of Health (NIH) acknowledges that there are some pain management alternatives to popping a pill or throwing up your hands in despair. There’s a growing body of evidence suggesting that several alternative approaches like spinal manipulation, acupuncture and yoga can effectively manage some painful conditions. And there’s one more one of my all-time favorites, which dates back thousands of years: massage. 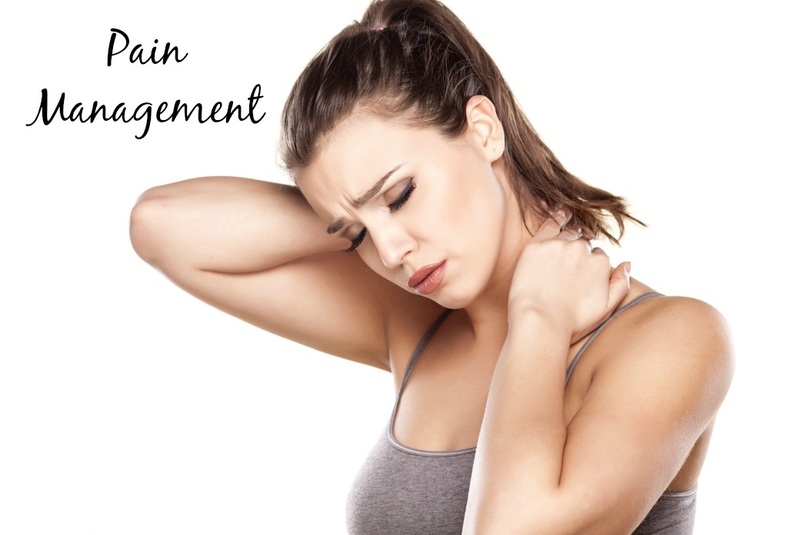 The evidence for massage as a way to manage pain is mounting. One study, published in the Annals of Family Medicine found that multiple 60-minute massages each week helped people with chronic neck pain more than fewer or shorter sessions did. Another study by researchers at various universities found that massage therapy helped reduce pain and improve function in people with low-back pain faster than usual medical care did.And yet another study has suggested that massage therapy is effective for reducing pain in cancer patients (at least, for the short-term). Let’s hear it for massage! It relieves muscle tension by enhancing blood flow, which helps muscles relax. It decreases inflammation by activating genes that naturally reduce swelling. It reduces pain intensity by diminishing bodily substances that create and prolong pain. It improves recovery by stimulating mitochondria, the “energy packs” that drive cellular function and repair. I know what you’re going to say: How many of us have the time/money/energy to “indulge” in massages? In my dreams, I have a master masseuse visit me at home at the end of each long, tough week. Presto, change-o: My sore muscles, stiff back and tension float away with their magic touch. But reality enters and tells me to dream on. The solution? An all-natural, do-it-yourself massage; no expensive appointments required. Take a tennis ball, foam roller or use your own (or a willing partner’s) hands, and massage tight or painful muscles to work out your trouble spots. Or, purchase one of the many handheld massagers that are on the market. Wahl makes a variety of massagers that are easy to use and large enough to alleviate discomfort in major muscle groups, while being small enough to hold right in your hand. Take its deep tissue percussion massager ,one of the many Wahl offers. It’s one of the most powerful handheld massagers on the market. Through a combination of interchangeable heads and variable intensity controls, it zeros in on muscle pain that hides out deep below the surface. My son, a marathon runner and avid athlete, came to visit recently. When he complained that he went a bit overboard on lifting weights the day before, I brought out my massager. At first, he looked at me skeptically. But as soon as I stood behind him and gently began massaging his sore muscles, he was dumbstruck. I handed it off to him, and he quickly got lost in alleviating all the other parts of his body that he had overworked in his passion to stay in shape.